Federalism is a system of government in which power is divided between a central authority and constituent political units. Indian Federalism is different from the type of Federalism practiced in the countries like the United States of America. 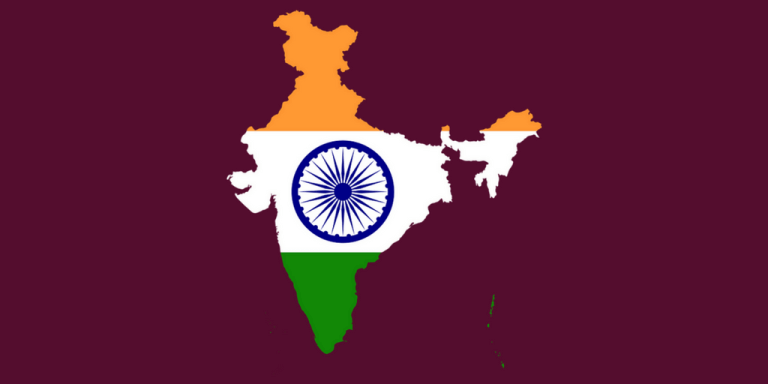 In this post, we analyze in detail 15 issues/challenges pertaining to Indian Federalism. Is India a true federation? 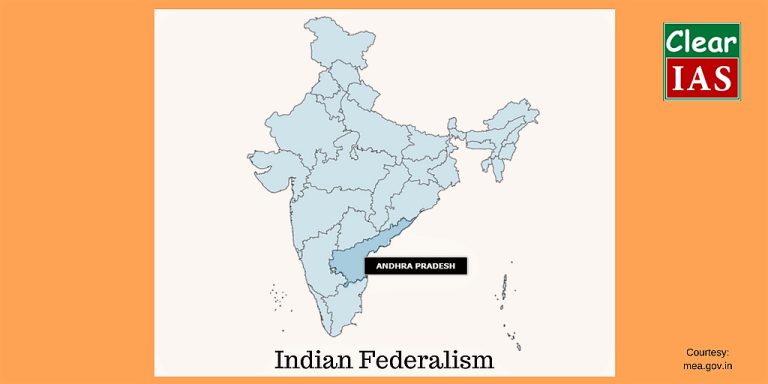 Indian model of federalism is called quasi-federal system as it contains major features of both a federation and union. It can be better phrased as ‘federation sui generis‘ or federation of its own kind. Article 1 of the Constitution of India states that ‘India that is Bharat shall be a union of states’. Indian federation was not a product of coming together of states to form the federal union of India. It was rather a conversion of a unitary system into a federal system. It is a compromise between two conflicting considerations such as autonomy enjoyed by states within the constitutionally prescribed limit (State List) and the need for a strong centre in view of the unity and integrity of the country (Union List). Federalism is the most relevant factor of modern constitutionalism. The core objectives of Indian federalism are unity in diversity, devolution in authority, and decentralization in administration. Through federalism, the State pursues the goal of common welfare in the midst of wide diversity in socio-cultural, economic spheres. It is considered one of the significant challenges to federalism in India. Federalism best thrives as a democratic system when it mitigates the centralization of power sharing between the centre and the states. The pluralist character of India gives rise to many factors including regionalism. People from far northeast sometimes feel themselves at a formidable distance from New Delhi and people in southern part of the country with bigger states feel neglected having been within larger states. Regionalism or love for one’s area, despite India’s tradition of successful federal rule over the years since independence, still raises its head in different parts of the country. The voice for the demand of more states has become more prominent in recent times, especially after the formation of Telangana in 2014. Recent demands like four-fold division of Uttar Pradesh and the creation of Gorkhaland from West Bengal are instances of aggressive regionalism that pose a threat to the federal structure of India. The agitations for Gorkhaland, Bodoland, and KarbiAnglong have been revived. This is apart from the new demands for a separate Vidarbha State in Maharashtra, and Harit Pradesh and Poorvanchal in Uttar Pradesh. The more the number of states the more the centre will be held hostage to state parties on matters of national importance. For instance, West Bengal threatened India’s Teesta river waters treaty with Bangladesh because of its possible potential costs for West Bengal. Even growing regional powers may affect effective foreign policy as the federal government may bow to the will of an individual state. India had to vote in favour of UNHRC resolution for Sri Lanka in 2012 for a backlash from Tamil Nadu. Unlike the USA and Australia, in India distribution of power is made under Three Lists found in the Seventh Schedule of the Constitution. 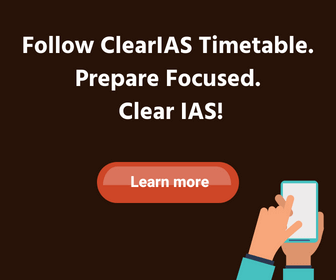 The powers of both the Central and State Governments are specifically enumerated in the Union list and State list respectively while powers mentioned in the Concurrent list are enjoyed by the two sets of governments. The residuary powers are vested in the Central government. The general principle underlying the division of powers is that all matters of national importance, e.g. defence, foreign affairs, railways, currency are allotted to the Central government while matters that are primarily of local or regional importance e.g., education, public health, police, local administration are assigned to regional governments. Some matters which require the involvement of both the centre and states like criminal law, forest, economic and social planning are assigned in the Concurrent List. However, in the case of conflict over the legislation on any of the subjects mentioned in the Concurrent List, the Centre supersedes the States. Article 200 (reservation of State Bills by the Governor for consideration of the President), emergency provisions under Article 352, 356 and 360 and compulsory compliance by the States with the executive power of the Centre under Article 256 and 257 amount to centralisation of power which has been the major concern among the states. Centralisation is as such a threat to Indian federalism. The Indian Constitution, while expressly vesting the Centre with greater powers of taxation, also provides for an institutional mechanism — the Finance Commission — to determine the share of the States in the Central tax revenues by way of correcting this imbalance. While deciding the devolution of taxes and the provisions of grants the Finance Commission is required to address both the vertical imbalance between the Centre and the States and the horizontal imbalance between states. At present, about 40 percent of Central revenues (tax and non-tax) is transferred to the States, and this includes the grants they get from the Planning Commission and the Central Ministries. Despite the enlargement of the shareable pool under the 80th Amendment which includes all central taxes, the revenue accruals of the Centre and the States have not seen any major changes. Asymmetrical sharing of revenue and resource crunch at the periphery results in uneven development across the country. The current Goods and Services Tax measure is feared by many states to be against fiscal federalism in India. It has amalgamated the various taxes into a single tax, procurement of which will then be divided among states in a prescribed ratio. Many states in India demand for more financial autonomy in India. With a view to preventing the evil of predominant influence of larger units over smaller units in a federation, most federations in the world have resorted to some constitutional mechanism like an equal representation of units or states in the Second Chamber and ratification of all amendments to the Constitution by states. In India, there is no such provision of an equal representation of states in the RajyaSabha, the Second Chamber and nor the states have any substantial say over the amendments done to the Constitution from time to time. In a typical federation, the power of amendment to the Federal Constitution lies on a shared basis between the federation and its units. In India, the power of constitutional amendment lies with the Centre under Article 368 and other provisions. Although ratification of half of the states is sought for in some limited areas, the states in the Indian Union have virtually no power in this critical area of governance. Unlike successful federations, India Constitution doesn’t have the provision for the secession of states from the Union of India. The Union has been made indestructible with a view to protecting unity and integrity in a country like India. However, this typical Indian arrangement checks the growing demand for secession from the Indian Union. The simmering demand for ‘Dravida Nadu’ comprising southern States and voice of separation in the eastern and western part of India pose a great threat to the unity and sovereignty of India. Even if it appears anti-federal in content, it has proved a blessing in disguise for if states would have given plenary power in deciding their geographical territory, there would have been much chaos and impasses leading to serious law and order problems in the country. All major federal democracies have in their Constitutions the provision that a state cannot be divided or merged with another state without its prior consent. This is the essence of federalism. However, the power of making, remaking states lies with the Union Parliament. Our nation-builders were wise in drafting the Constitution to suit our requirements. While prior consent of the state was not necessary under the Constitution, in practice every state has been formed with prior consent, in most cases after a detailed, impartial examination by an independent commission. However, in certain cases, states concerned are often being ignored by the Union Government in a matter of division of their geographical territory. The recent formation of the State of Telangana is a case in point. The resolute efforts of the Union government and its frequent declarations that Andhra Pradesh would be divided irrespective of the legislature’s views pose a grave danger to Indian federalism and unity. In the sensitive matters like redrawing the territory of a state in India the views of concerned states should be given due weightage by the Centre. Any arbitrary decision of the Centre without the consent of the State and a negotiated settlement in this regard will effectively convert states into municipalities, and India into a unitary state. Neither the Constitution-makers nor nation-builders intended such an outcome. India’s future will be in danger if such an effort is made to make the nation effectively unitary at this stage. The office of the Governor for each state in India has been a sensitive issue as it sometimes poses a threat to the federal character of Indian Union. Centre’s visible arbitrariness in misusing such constitutional office has been the subject of acrimonious debates and divergent opinions in the country. The imposition of President’s Rule in Arunachal Pradesh in January 2016, while there was an elected government in the State, created a bizarre incidence in the constitutional history of India. The Supreme Court on July 13 termed Governor’s decision unconstitutional ordered restoration of Congress government in Arunachal Pradesh. The overt support of the Central Government to the Governor in this critical matter speak volume of the inbuilt weakness in India’s quasi-federal structure. The abuse of the power under Article 356 by the Central Government is replete in the political history of the country. This has resulted in cementing of centralized forces and disaffection of constituent states towards the federal character of the Indian Polity. Unlike the Constitution of the USA, the Constitution of India lays down the constitution for the States as well and no state except Jammu and Kashmir has right to decide its own constitution. The Indian Constitution, unlike the other federal constitutions of the world, introduces single citizenship. It is based upon the idea of ‘one nation one citizenship’. All are citizens of India irrespective of whichever state he/she lives in. The States don’t confer any separate status as a citizen of the State. The integrated judiciary is a typical feature of Indian federation. Unlike typical federations, in India Supreme Court is the apex court and all other courts are subordinate to it. The States don’t have separate independent courts dealing specially with state matters. Also, the machinery for election, accounts, and audit in India is integrated. The All Indian Services and central services are also considered by many states and critics as anti-federal. However, considering the nature and scope of administration in India, such services are essential as they impart all India character to governance. These services are meant for the administration of the affairs of the Union Government. Although economic and social planning is found in the Concurrent List of the Seventh Schedule to the Constitution, the Union Government enjoys unbridled authority over national and regional planning in India. Centralised planning, through the Planning Commission, now NITI Aayog appointed by the Centre, considerable preponderance in legislative power for the Union, the financial dependence of the states on the Centre’s mercy, the administrative inferiority of the states make the states meek and weak. The States only fill the blank spaces meant for in the text for planning. There is no special planning commission for the states in India. It also adds to the misery of states and poses smooth functioning of federal spirit across the country. Diversity in languages in India sometimes causes a blow the federal spirit of the Constitution. 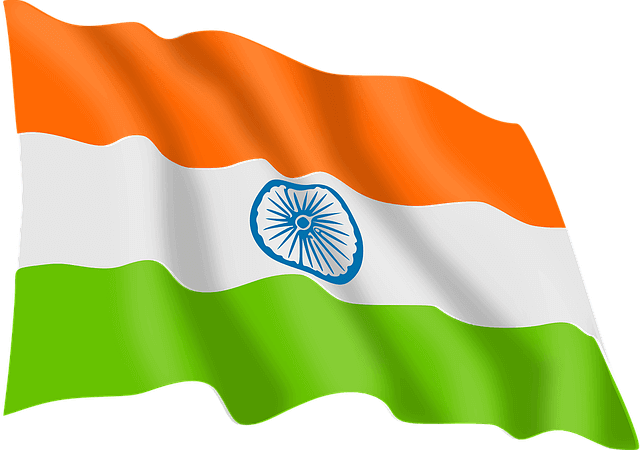 There are 22 languages constitutionally approved in India. Besides, hundreds of dialects are spoken across the country. Trouble arises when the strongest unit of the federation attempts to force a particular language on others. The tussle for official language in India is still a burning issue. The southern states’ opposition to Hindi as the official language of India has led to deep-seated language crisis in India. India is a fine example of religious heterogeneity that sometimes gives rise to turmoil to weaken the federation. But the religious process need not be always divisive. So long as there is a reasonable tolerance on the part of the people and a genuine secular policy on the part of the government, religion may not cause imbalances in a federation. Differences economic standards and relative economic and fiscal incompatibilities among the constituent states also pose a threat to a federation. The forces of imbalances in the field are demands for economic planning and development and for regional economic equality and financial autonomy of states. Demand for a financial equality of a region creates problems in a federation. In India, some states are declared as poor and on the principle of equalization, are getting grants-in-aid. But the dilemma in a federation emerges that if the principle of equalization is adhered to, the national income and the total income growth will suffer. Again, if much attention is paid to economic development, equalization of all units cannot be attained. Physical environment may also create hurdles for a federation by affecting communication. A federation in which the lines of communication are long and difficult has to face the difficulty of keeping in touch with all the units. It is easy for creating misunderstanding and conflict and perhaps this was one of the important causes for the separation of the east wing from Pakistan. Moreover, in the absence of good communication, the poorer units tend to develop a complex of neglect and feel that they are receiving less than their fair share of resources for development. In India, the North- Eastern states are having similar feelings and creating problems for the federation. External forces also create hindrances for a federation. The tension in the North Eastern States in India is due to the interference of neighbouring countries. China’s claim on some portion of the territory of Arunachal Pradesh on LAC threats the territorial integrity of India. The Tamil issue in Sri Lanka creates disruptive forces in India. The alleged Pak hand in Khalistan movement in the past also has a say in weakening the Indian federation. Should India continue with the federal form of government? Federalism or federal form of government is the most suitable form for a vast and pluralistic country like India. It tries to facilitate the socio-political cooperation between two sets of identities through various structural mechanisms of ‘shared rule’. But because of the above reasons, center- state relations and the state autonomy have become the cardinal issues of the Indian federalism. The union government appointed Sarkaria Commission in 1983 to examine and review the working of the Indian Federalism. But many recommendations of this Commission are still to be implemented properly. The Union government also took in a very easy approach some of the recommendations made by this commission. This shows that even though our constitution is said to be federal, but this overemphasis on the power of the federal government makes incapable of dealing effectively with socioeconomic challenges and strengthening national unity. Hence, it is appropriate to restructure Indian Federalism to make it more effective and promote center – state relation. The temperament of federalism in India during the coalition era has been changed discernibly. Political deliberation seems to surpass the administrative and financial aspects of the Union-state relations in India. The states having the governments of those parties that form part of the central coalition give the impression that to have little conflict with the Centre. Their complaint is submissive or subdued and the general awareness is that they get particular contemplation and hold in matters of resources approved by the Centre. As a consequence, it is raising that noise sometimes that the Centre is being partial against the states having governments of the opposition parties. However, when one becomes aware of the allocations of the Central plan fund released by the Planning Commission on an annual basis, it appears that there is no such obtrusive discrimination. There is called for a more widespread perception of evenhandedness and fairness. There has been a steady requirement of the National Development Council, that is a delegate institution of the Centre and the states, should become more energetic and effective. It may be brought to mind that the First Administrative Reforms Commission had suggested that the NDC be supposed to meet twice a year. Even after more than forty years, this proposal has not been put into practice. In a true federal spirit, the NDC, instead of becoming a mere routinized rubber stamp, should re-emerge as a verbal and effectual gadget of Centre-state discourse in matters of development. Here is an organization that has the potentiality of making the Indian federal economic structure more powerful and therefore, this instrumentality ought not to become a superfluous union. Qn 1: ‘Indian Constitution is federal in structure but unitary in spirit’. Explain. Federalism was introduced in India by the Government of India Act, 1935. While drafting the Constitution of Indian, the framers wanted to give a federal look to it considering the pluralistic characteristics of India. The Constitution contains certain integral federal features such as two governments; division of powers between the union and its constituents; supremacy of the Constitution; rigidity of the Constitution; independent Judiciary; bicameralism. Unlike the true federal states like the USA, Indian federation was not a result of a compact between several sovereign-units but a product of conversion of a unitary system into a federal system. It is a compromise between two conflicting considerations such as autonomy enjoyed by states within the constitutionally prescribed limit (State List) and the need for a strong centre in view of the unity and integrity and sovereignty of the country. Unitary features of the Constitution like single Constitution; single citizenship; flexibility of Constitution; integrated judiciary; appointment of the Centre; all India Services and emergency provisions. During national and state emergencies the Union Government assumes undisputed power over the whole or any part(s) of India. The Parliament has the power to make laws even on the subjects of the State List in the national interest (Article 249), under Article 252 and in the implementation of international treaties. Besides, it also retains the ultimate authority on policy decisions and governance. Last but not the least, the indestructibility of the Union and destructibility of the units by the Union substantiate the given view. Qn 2: Strong Centre is a robust constitutional mechanism against divisive forces in India. Comment. 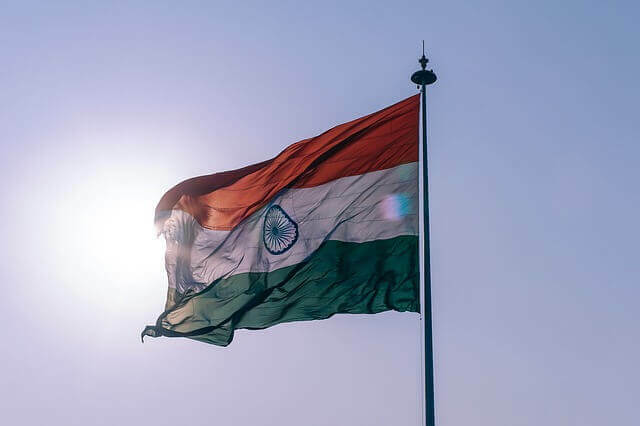 The very birth of India as an independent nation-state signifies the fact that the Union of India was a necessary corollary and it was not a creation of agreement among its constituents. The framers intended to provide a sturdy centre keeping the sovereignty and unity and integrity in mind considering wide diversity and pluralism in India. Their intention has found meaning. But for a constitutionally strong Union, India would have already been fragmented into pieces since long back. The Parliament of India enjoys sole power for formation, reformation, alteration of boundaries of states in India. Time and again divisive forces raise their ugly heads to secede from the Union. In the past demand for Pakistan-backed Khalistan and clamour for Dravida Nadu created instability in the proposed regions and posed a threat to the unity of the country. However, lack of power of secession from the Union of India by the states and constitutionally-approved indestructibility of the Union saved India from disintegration. The simmering flames of separatist movements still haunt India. The issue of Kashmir in the far north, demand for a separate country for Assamese people; Nagalim in not so distant past were brought under control by various stringent measures like Armed Forces Special Powers Acts (AFSPA). Such acts are in vogue to put down separatist movements in certain parts of the country. Strong Centre is necessary for India in the interest of its unity and integrity. No substitute to such constitutional arrangement is in sight in the context of the country. Qn 3: Is regionalism a threat to unity and integrity of India? Substantiate your answer with recent examples. Regionalism is excessive love for one’s own region which entails invariably regional rather than central systems of administration or economic, cultural, or political affiliation. India is a plural society. Wide diversity is found in religious, linguistic, cultural, social and economic spheres. It gives rise to regional feelings which sometimes pose a great threat to the unity and integrity of the country. Immediately after independence language played its role in demarcating states in India. In recent times the clamour for more states became prominent after the creation of three states 2000. In this case, the issue of backwardness and economic development was the ground for the division which led to the creation of Telangana in 2014. Demand for more states, at present, has been manifold and more vocal. Also, divisive forces in the northern part and north-eastern states in alliance with immediate alien powers demand secession from India. Apart from a great number of states, regional feelings give rise to a number of parties. Multiple states and multiplicity in political party culture are likely to create confusing and hazy governance hindering the progress of the nation. Regionalism is also an anathema to the growth of national consciousness and cohesion much to the detriment of unity and integrity of the country. Even though regionalism is attributive of uneven economic development and underrepresentation of some regions in the governance of the country, it is flamed by narrow-minded and anti-national forces to gain their nefarious goals. These need to be contained with an iron-hand by stringent measures along with a strategy for equitable distribution of national development across the country. Qn 4: The limited sovereignty of units at the periphery can be best ensured to the survival of federalism in India. Discuss. Article 1 of the Constitution of India states India as the Union of India. The states in India were an integral part of British India and its periphery and as such became an indivisible part of the said Union. There is ‘one nation and one citizenship’ adopted in independent India and the nation’s integration have been made paramount. The Constitution, however, provides states with limited sovereignty for establishing a quasi-federal structure for the country. It did not intend to make India a unitary country with states functioning as municipalities and their survival dependent on the whims and fancies of the Union Government. The functioning of the Indian Constitution over the past 66 years doesn’t establish a de facto unitary state. It is a fact that federalism has been going deep in India in tandem with global trends. The provisions like a separate state list in the constitution, a second chamber for representation of units at the centre, NITI Aayog, inter-state councils, zonally councils and substantial devolution of funds for the states through various ways ensure required sovereignty to states to function as an independent entity within a federal set-up. Demand for more autonomy by states should be gauged on the scale of federal characteristics of Indian polity. Article by: Sangram Keshari Rout. 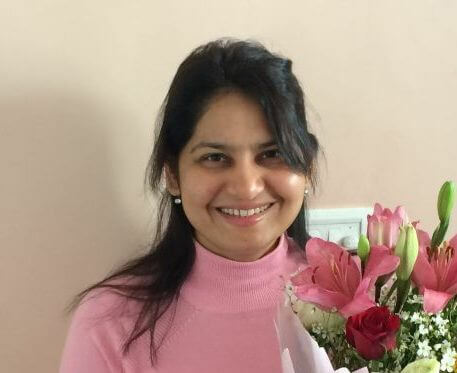 The author has edited a number of books for different competitive exams. Sarakaria commission doesn’t make any useful recommendations..
Come On, Give them some credit. They were certainly some good suggestions by this commission. Hi Rajakumar, we have updated the article. Thank you. Study material available in hindi…? For mains exam. very help full editorial to the point and straight to the syllabus . What emerging issue of Indian federalism ? Very helpful article. Thanks a lot ! !